315 Bonanza Way Danville, CA. | MLS# 471936 | Andrew de Vries, Probate Real Estate, San Francisco Probate Real Estate, Oakland Probate Real Estate, Berkeley Probate Real Estate, Alameda Probate Real Estate, Lafayette, Contra Costa Probate Real Estate, Probate realtor, Probate agent, Probate Broker. 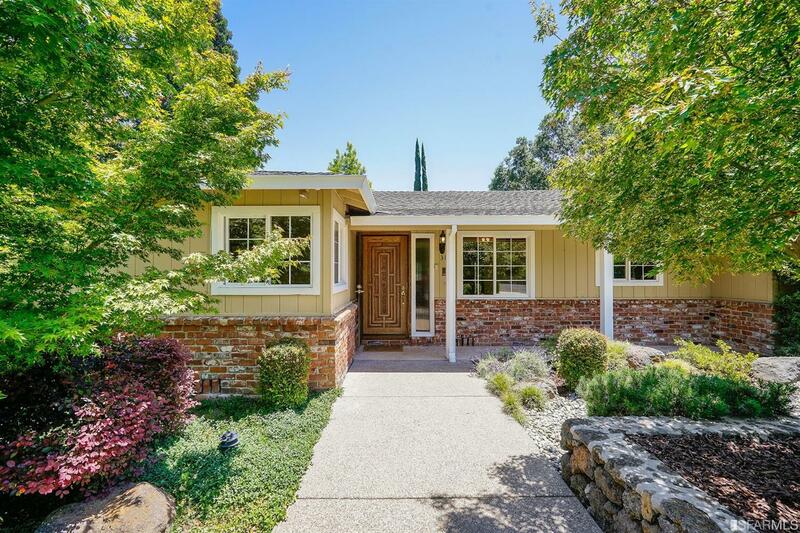 Spacious 4BD/2.5BA Level-In located in Danville's coveted Westside,steps from the Iron Horse Trail, downtown shopping & dining, & award-winning schools. This well-maintained Ranch home, nestled on a stunning 15,200 Sq Ft lot w/mature landscaping, boasts 2,825 Sq Ft of open living space (+ a bonus 495 Sq Ft sun-room) perfect for today's active lifestyles: Large LR/DR combo w/vaulted ceiling & FP, a bright sunroom (done w/permits), a private master suite, 3 ample BDs, a family rm w/2nd FP, PLUS a bonus game/media rm w/floor-to-ceiling windows. The beautifully landscaped yards, featuring verdant plantings & custom patios & planters throughout, are a gardener's delight. Fresh paint, newer systems & a 2-car grg, complete this rare offering.